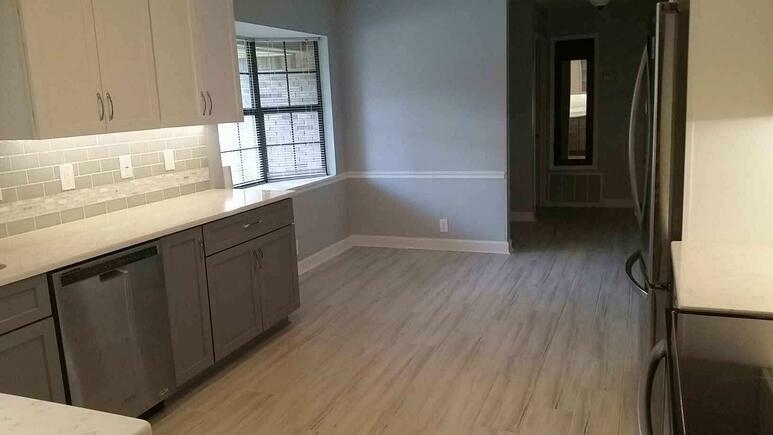 We made this kitchen beautiful and efficient for everyday living! 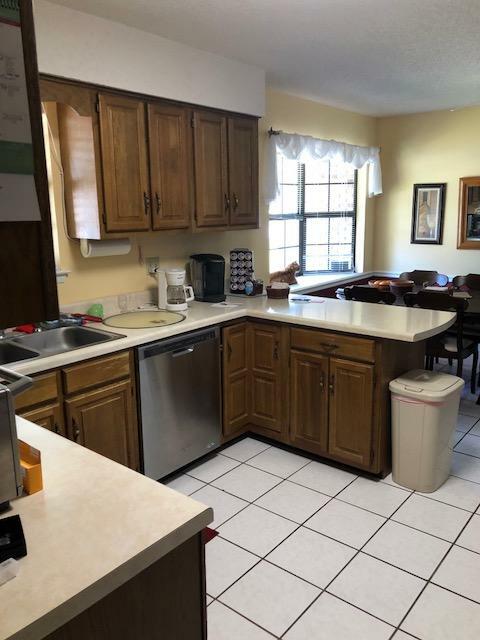 Before the remodel, this kitchen was dark, outdated, and separated from the dining area. After the remodel, the kitchen is bright, updated, and open. This remodel utilizes clean look, shaker style cabinetry with full height wall cabinets to brighten and expand the kitchen. Marble look quartz counter tops, tile back splash with decorative inlay, and wood look tile flooring complete the look. This homeowner wanted a bright, updated kitchen that was open to the dining area. Our team of professionals came in and provided her with a bright, open, efficient kitchen and dining area, perfect for everyday living. 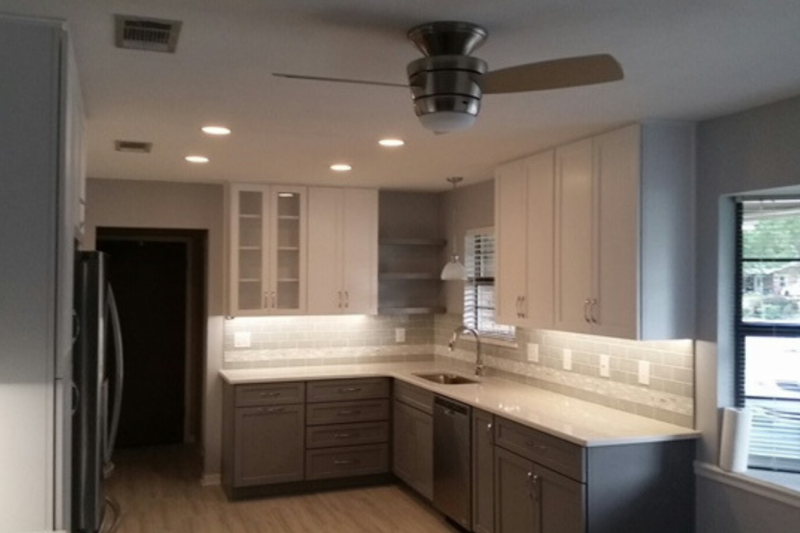 The team started the project by removing the existing cabinets, sink, faucet, tile flooring, soffits, and partially removing a wall between the foyer and kitchen. Then they started brightening the kitchen by adding wiring and switches for under cabinet lighting, a new pendant light above the sink, and four new recessed lights. The new, brighter look was further enhanced with the addition of ceiling height Trucabinetry maple wall and base cabinets with Dakota door style and floating shelves. The customer chose clear glass doors for several cabinets, also. The wall cabinets in Tru White and the Pewter floating shelves and base cabinets provided a peaceful backdrop to the Painted Stone-White 8 x 32 tile flooring by Happy Floors. 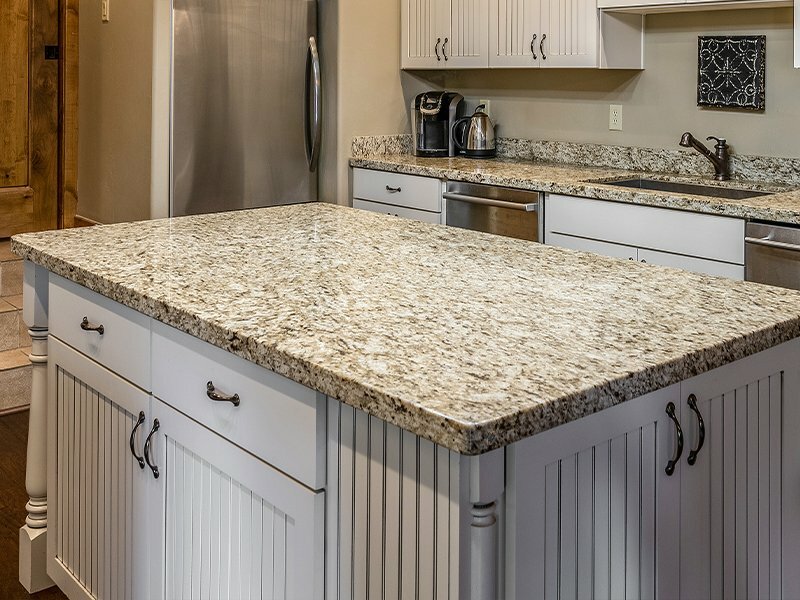 The beautiful marble look Cashmere Carrara quartz counter tops complemented the white and pewter cabinetry. The final touch was the Morning Fog tile back splash by Highland Park. The customer chose the staggered brick lay pattern with a three inch inlay of Icy Stack tile by Elysium Mosaics. The kitchen is now open to the dining area and has an easy, efficient flow facilitated by the removal of the old peninsula cabinetry and the extension of the cabinets and counter tops along the sink wall. With the additional space gained from extending the wall cabinets to the ceiling and the addition of a coffee bar, the kitchen has ample storage space. 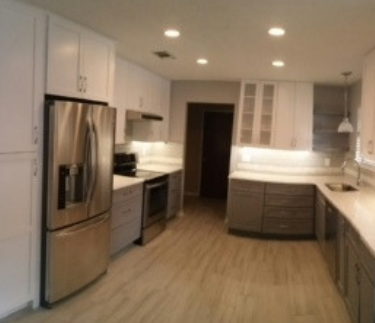 The customer was excited with the beauty and efficiency of the finished remodel, and we will be delighted to help you attain your dream kitchen as well. Give us a call! Attention to details and responsiveness to questions during the renovations. We are very pleased with the results. 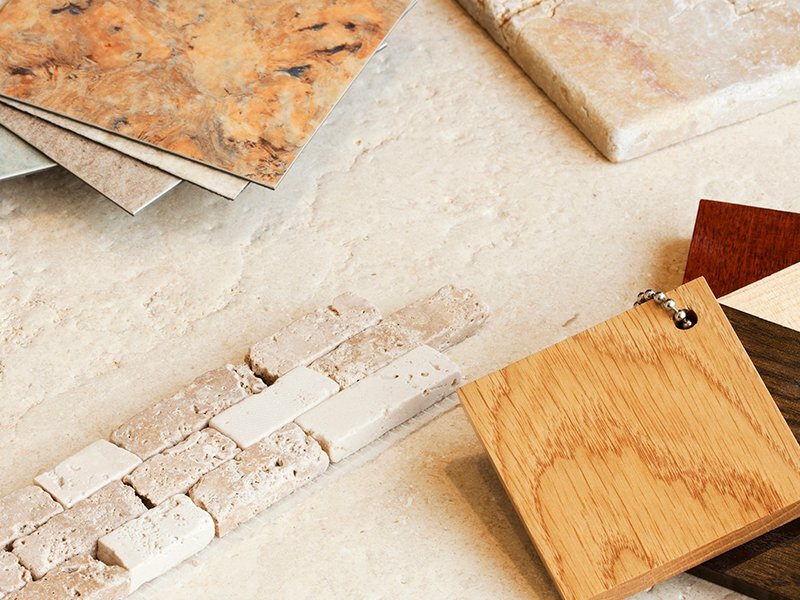 Our designer, Kara, is excellent and our contractors as well.